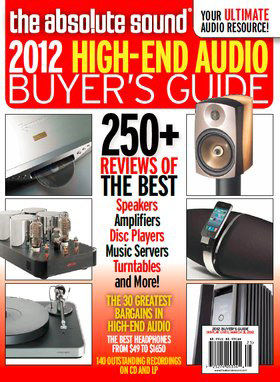 In their annual Buyer's Guide, The Absolute Sound raved about the Townshend Audio Rock Mk. 7 turntable as well as the Helius Designs Omega Silver Ruby -- their flagship tonearm. The Townshend Rock 7 turntable is the latest realization of Max Townshend's unique and uniquely effective ideas about vinyl playback, including the fluid-contaiing trough that damps the arm at the cartridge end. With its own lack of resonant signatures of any type and its silent background, and with the trough taking up the cartridge vibrations that might otherwise go into the arm itself (and come back later to disturb the sound), the Rock 7 is truly remarkable in its truth to what is really on the record. The bass performance in particular is superb. And the Rock 7 has the solidity and neutrality of mastertape sound to a startling extent. The Townshend is convenient to use and stable in setup, and the ingenious suspension is so effective that outboard isolation devices are not needed. The price is modest, indeed, by high-end standards, but the sonic results are spectacular. Designer Geoffrey Owen has significantly advanced his tetrahedral bearing design, which uses twelve large rubies to produce a captured bearing with extremely low friction and single-point contact on all surfaces. This dynamically balanced arm with non-coincident bearings provides a very stable mechanical platform for a wide range of cartridges without adding its own coloration. While it is not the last word in ease of setup and lacks adjustable VTA during play, the Omega Silver Ruby's ability to reproduce a rock-solid, precise, and complete soundstage, without truncating the rear of the stage, is reference quality. It has exceptional tonal neutrality and clarity across the sonic spectrum, with deep, dynamic, and articulate bass without bloat or overhang, and naturally extended highs without any stridency. Schedule an appointment to audition both components at the studio.